Grass is greener over the drain field. Because the septic drain field is the last step for wastewater in the septic system, an efficiently working drain field is essential to ensuring effluent gets treated the way it should. 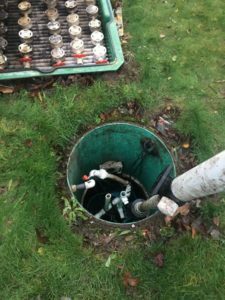 Think you may need septic drain field repair in Enumclaw? Let Vac-Tec LLC help. Our technicians have the tools and knowledge necessary to repair septic drain field problems, no matter how big or small. When effluent leaves your septic tank, it reaches the septic drain field. If the drain field fails to treat wastewater successfully, you could experience serious problems. 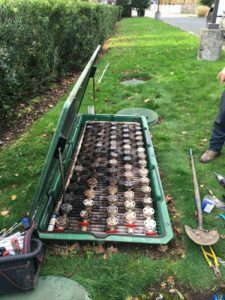 You can rest easy knowing that we will get the drain field repair job done right because we have been repairing septic systems for years. Our entire team is dedicated to completing the drain field repair job to the highest professional standards. We also specialize in drain field rehabilitation. Leach field repair is a complex job that is best left to the professionals. While you may notice signs, such as slow running drains or water pooling on the ground above the leach field, determining the exact cause of the problem can be difficult. Our leach field repair process starts with a proper diagnosis of the problem. Our technicians will walk you through all your leach field repair options so that you can make an informed decision. If you would like to schedule a leach field repair appointment in Enumclaw or its surrounding areas, then please call Vac-Tec LLC at (206) 339-0039.